Hurricane Florence has caused a lot of damage to folks along North Carolina’s coast. They have seen flooded homes, fallen trees, widespread roof damage, and even homes completely washed away. 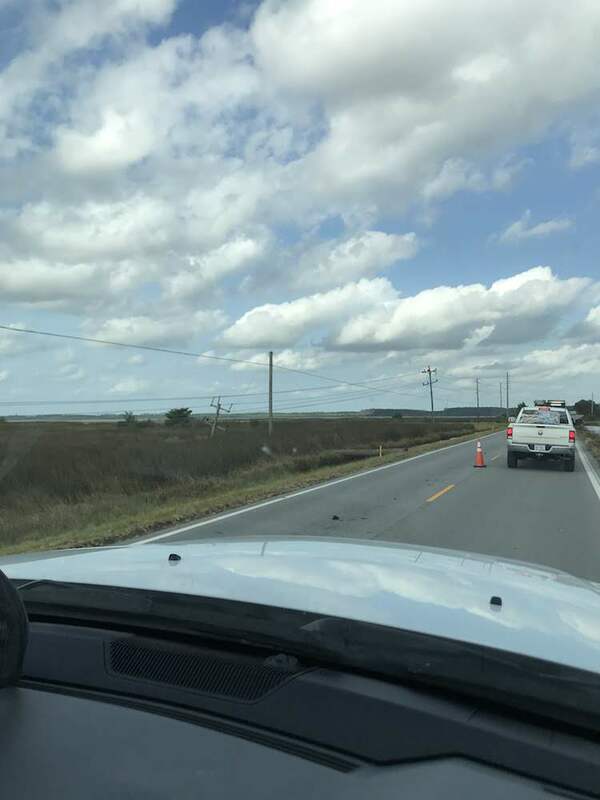 Eastern Carteret County, otherwise known as “Down East,” has suffered tremendously and has little access to supplies and resources. They just restored power Sunday 9/23, after a week in the dark. Hearing of the devastation Down East on the Monday after the storm inspired us to action. 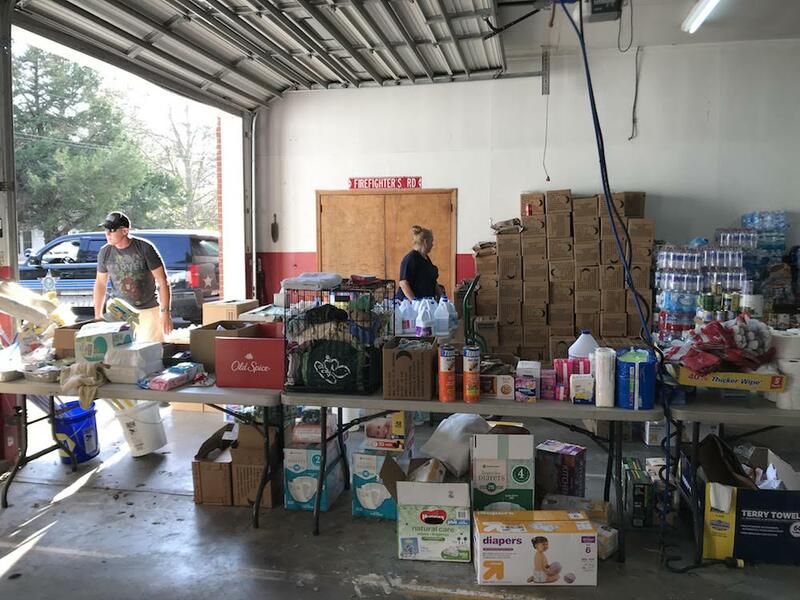 Working with community leaders in eastern Carteret County, we compiled a shopping list of items they needed to start cleaning up. We raised money from customers and friends (THANK YOU!) to purchase these goods. 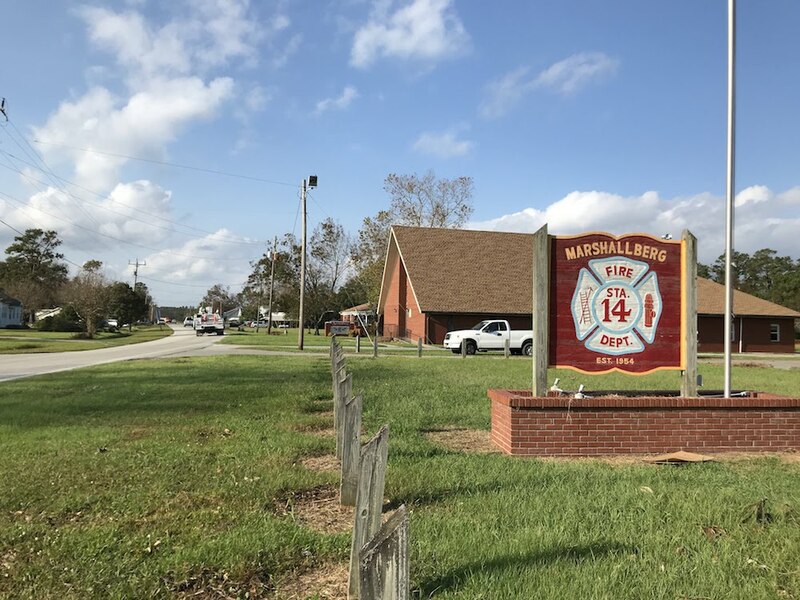 On September 20th, we delivered the supplies to the Marshallberg Volunteer Fire Department. Driving down on Thursday we saw lots of downed trees, damaged boats, damaged homes, debris littering yards and roads. Flooding damaged many homes and destroyed belongings. 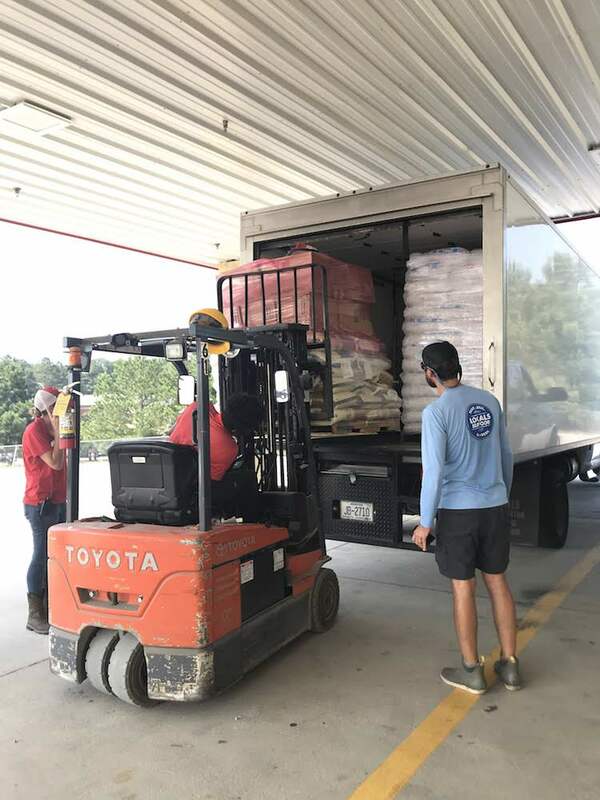 The cleaning supplies we delivered will go a long way for folks who are now dealing with the aftermath of that flooding. 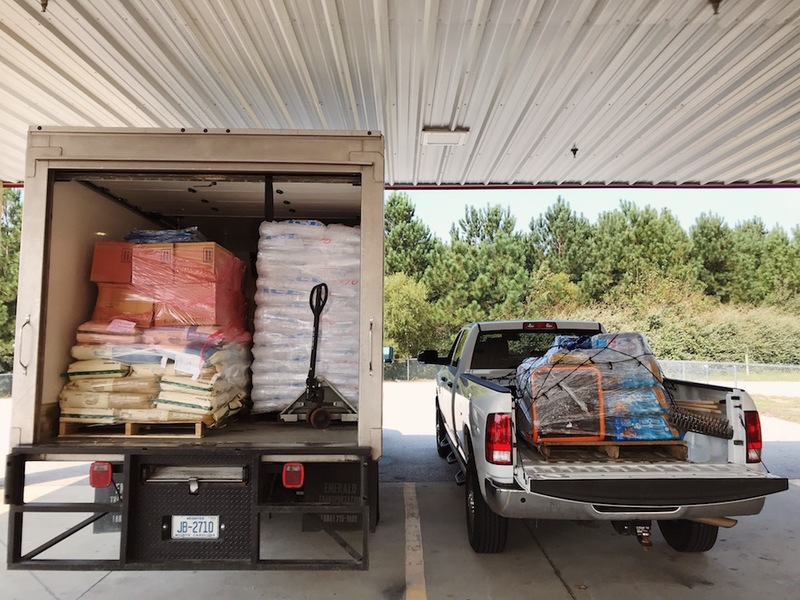 People were relieved to see us unload cat, dog, pig, and chicken food – water and animal food don’t mix. Box fans that can run on generators will provide relief from the inescapable heat. We filled two freezers with 10 pound bags of ice, a necessity when trying to save perishable food. 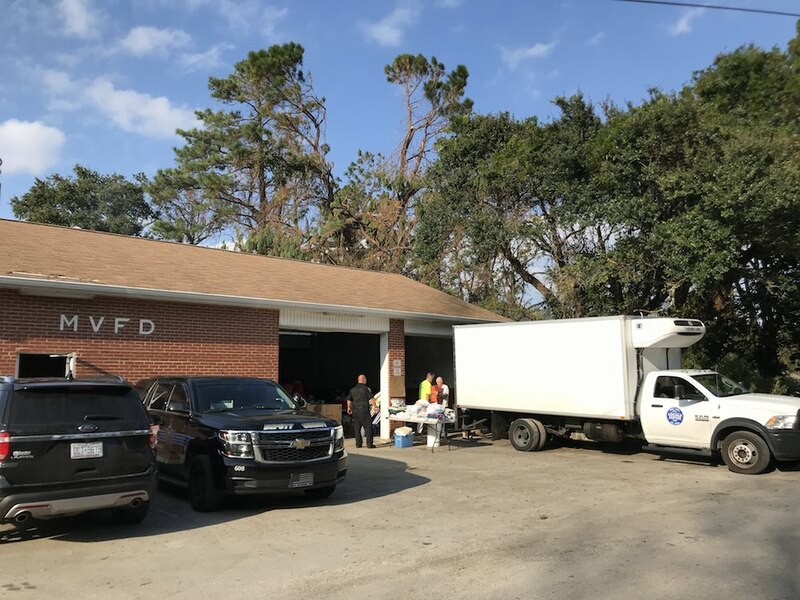 The volunteers at the Marshallberg Volunteer Fire Department were so helpful in unloading and organizing the supplies. We want to thank them for their help and hospitality, as well as the folks at Marshallberg Baptist Church for their help and for providing our dinner. And thanks to all of our customers, friends, and strangers who donated to our fundraiser. 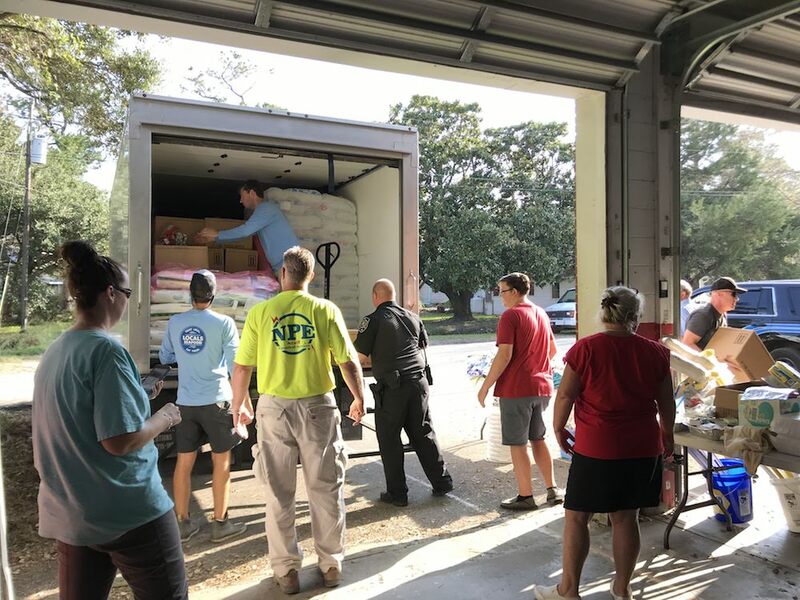 As small a donation as it seems, these supplies will help folks clean their homes, feed themselves and their animals, and provide small comfort in a hard time. There is so much more that’s needed, and our fundraiser was just a drop in the bucket. Please check out the Core Sound Museum website for more ways to help folks recover Down East and considering giving your time and resources. In times like these, it’s critical for communities to come together. We may not live Down East, but we work with commercial fishermen, oyster farmers, and community leaders there. We consider many our friends, and all our North Carolina neighbors. For an update on our seafood vendors, check out this post.